Welcome to Class 4 Owl! This year our class is a combination of Year 4, 5 and 6 pupils. Our class team is: Mrs Law (Teacher, Monday – Wednesday), Mrs Parker (Teacher, Wednesday - Friday), Mrs McCully, Mrs Holloway and Mrs Brotten (Teaching Assistants). This term our topic is the Victorians. We have linked subjects to this theme and are carrying out some very exciting work. Our class texts are Street Child, Oliver Twist and A Christmas Carol. We are studying Victorian Britain, The British Empire, William Morris (printing), Brunel's bridges and railways. In English we are writing: descriptions of the workhouse, diaries in role as a street child, balanced arguments about workhouses, a biography on Dr Barnardo, letters and much more. As part of our Christian Value on Peace, we have carried out a mini topic on WW1. We kick started this by watching an 'Operation Ouch WW1 special'. This inspired us to: recite poems, write our own poems in role as soldiers, produce poppy artwork and write letters to 'the unknown' soldier. Spelling: The children receive spellings on a Monday (listed in planners). These are practised in school and at home throughout the week in preparation for a test on the following Monday. Reading: Children are encouraged to read at least 3 times a week. We are also introducing 'Book Bingo'. This is a fun reading challenge with simple rewards for the children to complete over the course of each term. Maths: This is given weekly (Monday, returned the following Monday) and is linked to previous learning. Times Tables Rockstars: All children have their own log on to this website and are encouraged to practise their times tables in order to become fluent and confident . Our PE sessions are on a Monday (with Mrs Law) and a Wednesday (with Mrs Taylor from Sporting Start). 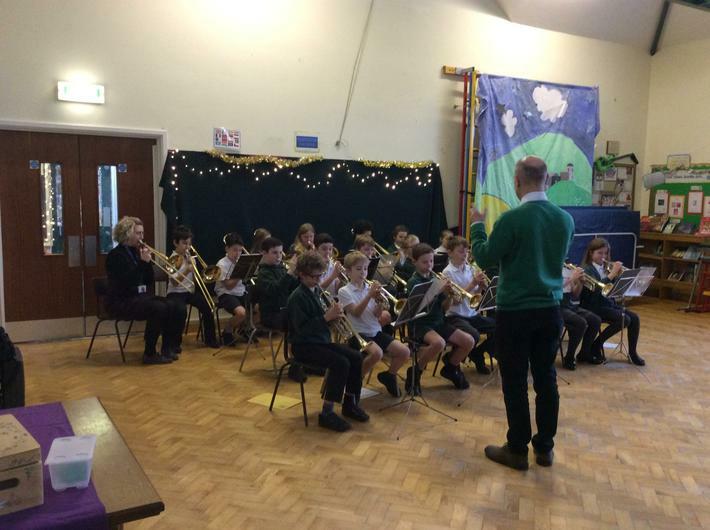 All the year 5 and 6 children (and Mrs Parker) have thoroughly enjoyed starting their journey in learning their trumpets and trombones. This is part of the wider opportunities programme run by the local authority music services. As part of our Victorians topic, we visited York Castle Museum where we interacted with many exciting exhibitions that enhanced our learning. All the children were extremely excited to travel to and from York on the train. We also had a fantastic opportunity to experience a live performance of 'Scrooge' on the beautiful Victorian street. 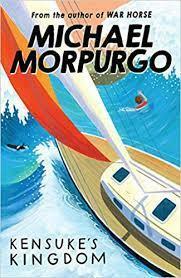 This half term we are studying the text 'Kensuke's Kingdom', written by Michael Morpurgo. Linked into this topic we will be writing: letters, messages in bottles, setting and character descriptions and stories. 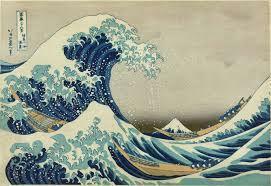 We will also be researching continents/seas travelled by the family in the story, studying the Japanese artist Katsushika Hokusia and much more! 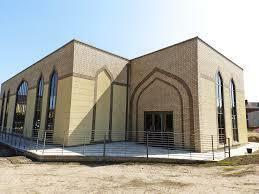 In RE, we are looking at the theme of 'Mosques in Yorkshire' and can't wait to visit the new Mosque in York.